Roxy Palace is a leading casino across Europe and is available in seven languages and seven currencies. It is also hugely popular throughout the UK. The casino has over 500 games and players can play on their mobile, tablet or desktop ensuring that the casino is available on a wide range of platforms. Utilising social media to keep players up to date with casino events and news has been a huge success. 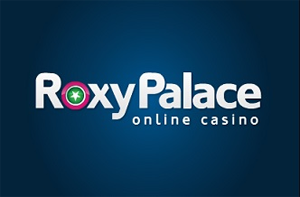 First launched in 2002, Roxy Palace has built a loyal fan base over the years, with over a million active players. Its European outreach has been widely praised due to its accessibility and translation. Their loyal players are their greatest asset and the casino strives to communicate honesty and trust with each individual. Roxy Palace holds a licence in Gibraltar, in addition to being registered with the UK Gambling Commission. The online casino features over 500 games, with an average payout rate across the casino of 96%, meaning that it’s worth investing the time to play here. There are over 120 games to be played in the Flash version and there’s every casino game imaginable on this website, including a vast range of online slots, video poker and card and table games. All games on the casino are brought to players via industry leading software provider Microgaming. The casino provides slick graphics which make players believe they’re on the Las Vegas strip. There are two versions to the game, with downloadable content which includes over 500 games as well as the Flash version which contains fewer games, but the most popular ones. The software is compatible with both Mac and Linux. Numerous promotions are on offer for players on all platforms, regardless of how much casino experience they possess. Promotional offers are presented via the online and email newsletter, with most promotions regularly changing, including Slots Tournament and Double Points rewards on various games. New players can receive a bonus of up to £100, with 100% bonus on first deposit. Roxy Palace’s website is simple to use and the payment methods are as well. Players can deposit using credit card, debit card and bank transfer. On top of this, Neteller is also a depositing method available for the casino. Roxy Palace’s customer service team is of a high standard and contactable 24 hours a day, 7 days a week. The quickest way to get in contact with them is via the Live Chat feature that’s becoming increasingly popular amongst online casino goers. A UK Freephone number is also available, as is email service and response. The “Help” section is comprehensive and includes answers to FAQs.